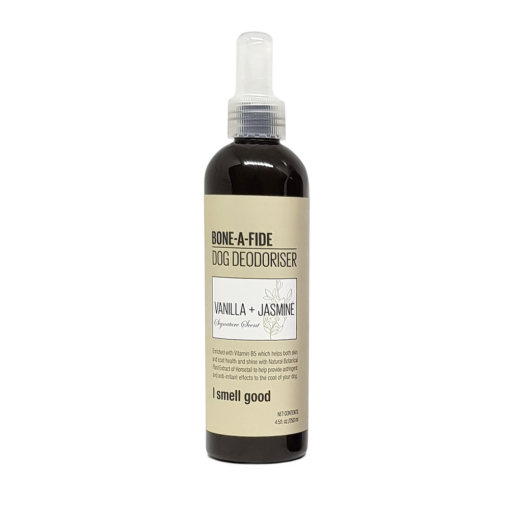 Clean Dog Vanilla & Jasmine Dog Deodoriser is a sweet smelling dog deodoriser helps target dogs daily odours in between washes. 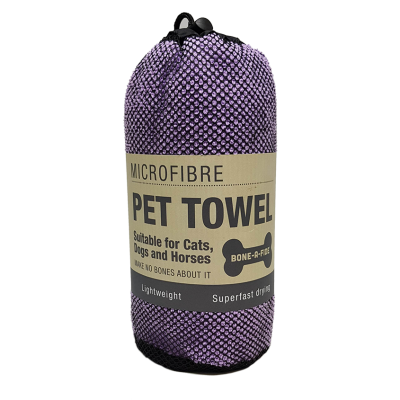 Your dog will feel refreshed and deodorised. Helping your dog’s skin stay healthy and firm, especially when they are outdoors and frequently in the sun. 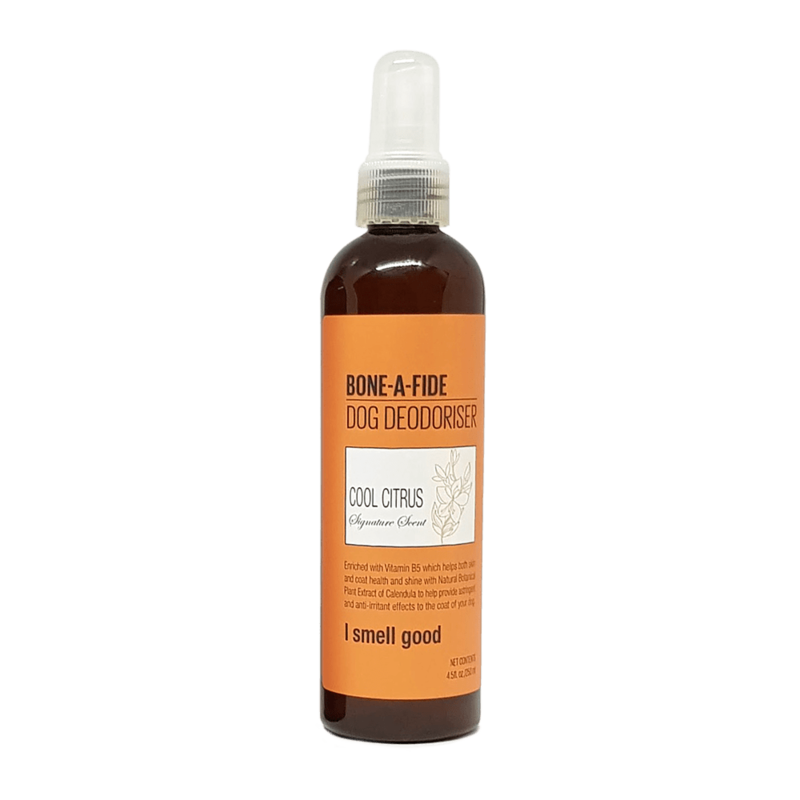 This spray is enriched with Vitamin B5 which helps both skin and coat health and shine and contains Natural Botanical Extract of Horsetail which helps provide astringent and anti-irritant effects to the coat of your dog. 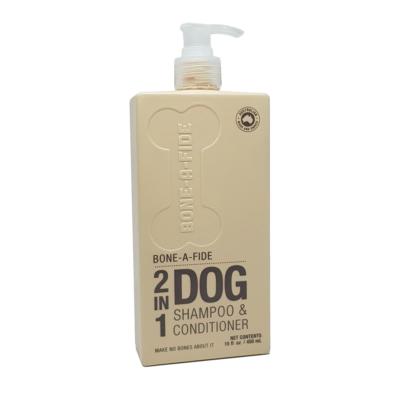 Clean Dog Bone-A-Fide Vanilla & Jasmine Dog Deodoriser eliminates those unsavoury doggy smells between baths. 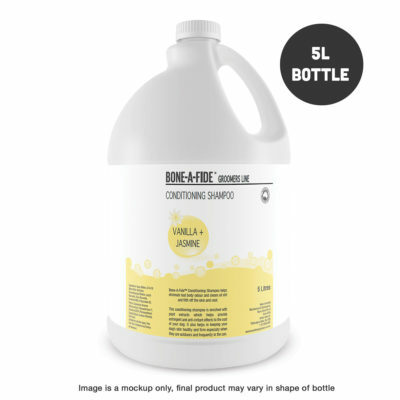 Spray onto your dog for a fresh pooch after a walk or a day at the beach. Bone-A-Fide Vanilla & Jasmine Dog Deodoriser is 250mls and proudly manufactured in Australia.